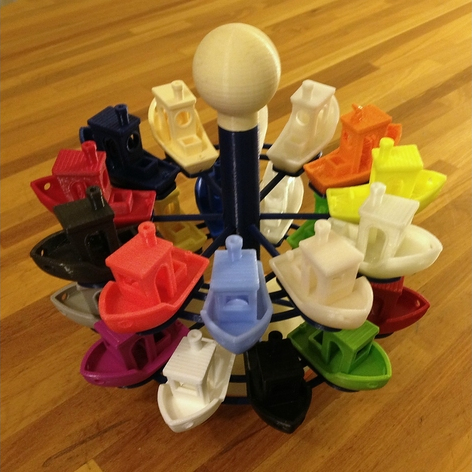 You might remember a while back we wrote about Tom’s 3DBenchy rudder stand, where you could fit 12 3DBenchys on a singe stand. Awesome design by Tomas! Thingiverse user Knickohr liked Tom´s rudder stand too and he decided to remix it to make it stackable so one can add even more 3DBenchys! We love the idea and if you do too and want to make one of your own, check out it out and download the files from Thingiverse.